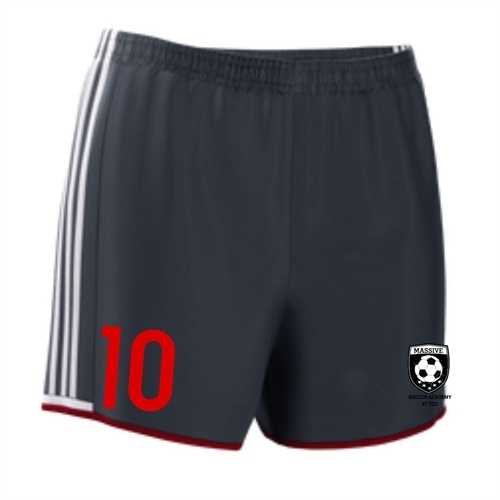 Official Massive adidas Women's Condivo Shorts. The Massive Women's Condivo Game Shorts is a comfortable team short with elastic waist. Inner lining. Embroidered logo. And with Climacool moisture control to keep you sweat free and cool. Official Massive adidas Women's Condivo Shorts. These shorts are made for game day. They will sport the massive logo while also keeping you cool and sweat free.